Maghsoudi, A., Soheil, M., Darbhenz, A. (2010). Effect of the Nano Particles in the New Generation of Concretes, SCC. International Journal of Nanoscience and Nanotechnology, 6(3), 137-143. A. A. Maghsoudi; M. J. Soheil; A. Darbhenz. "Effect of the Nano Particles in the New Generation of Concretes, SCC". 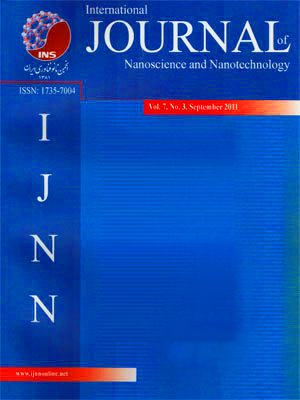 International Journal of Nanoscience and Nanotechnology, 6, 3, 2010, 137-143. Maghsoudi, A., Soheil, M., Darbhenz, A. (2010). 'Effect of the Nano Particles in the New Generation of Concretes, SCC', International Journal of Nanoscience and Nanotechnology, 6(3), pp. 137-143. Maghsoudi, A., Soheil, M., Darbhenz, A. Effect of the Nano Particles in the New Generation of Concretes, SCC. International Journal of Nanoscience and Nanotechnology, 2010; 6(3): 137-143. Nanotechnology is a favorite research area that revolutionized mechanical and chemical properties of materials. Recently, focusing on concrete as a porous material with micro-scale and nano-scale pores enthusiastic researchers developed their investigations to find out microstructure and mechanical properties of concrete. The aim of this paper is to investigate the effect of nano-silica as an addition on new concrete generation called as “Self Consolidating Concrete”, SCC, containing type V Portland cement. For designed mixes, the fresh properties (Slump Flow, L-box, V-funnel, J-ring) as well as the hardened concrete properties such as compressive strength, elasticity modulus, swelling and shrinkage values were measured. Results were compared with SCC specimens without nano-silica addition at short and long terms of ages until one year. In order to investigate the development on the microstructure of SCC, after reviewing on the study procedure on the micro structure of SCC, the scanning electron microscopy (SEM) imaging on specimens were also performed. Results showed that the use of nano-silica with micro-silica can improve the engineering properties of hardened SCC.